Nebraska Football: Who Needs To Come Through For Huskers In 2015? Nebraska football fans have been paying lots of attention during spring practice in term of which players might be making the leap, and which might find themselves on the bench this fall. But a different, and perhaps more important, question to ask is which players have to step up and excel for Nebraska to have a successful first season under new head coach Mike Riley. Here are three players whose success is crucial for Nebraska to win in 2015. OK, pipe down, I know this is the Captain Obvious pick. But just because it’s obvious doesn’t mean it isn’t true. Sure, there’s no guarantee that Armstrong will even win the job. But if he doesn’t, that means Nebraska will be starting a quarterback with almost no in-game experience. Couple that with a new offensive (and defensive) scheme being introduced and two tough games (BYU and at Miami) in the first three, and Nebraska will have precious little time to get right as the 2015 season starts. So that puts the pressure squarely on Armstrong’s shoulders to make the necessary improvements (which is columnist-speak for “have a better completion percentage”) and secure the starting quarterback job as quickly as possible. Nebraska isn’t guaranteed a successful 2015 campaign if Armstrong wins the starting job, of course. But if he doesn’t, the chance for Nebraska’s 2015 season to be successful diminish considerably. In one of his spring camp observations, Brian Christopherson of the Lincoln Journal-Star pointed out that Banderas is settling into the middle linebacker position much more comfortably than he did when pressed into service as a true freshman. That’s good news for Nebraska on two fronts. First, getting Banderas on the field and contributing would be putting his considerable skill set to good use. But perhaps more importantly, Nebraska would have the chance to get solid and consistent play from the middle linebacker. After Michael Rose-Ivey went down just before the season started last year, Nebraska struggled to find anyone that could fill the position appropriately. And particularly at middle linebacker, with the kind of additional leadership role the position requires, inconsistency at the position will sap the effectiveness of the entire linebacker corps, and ultimately the defense as a whole. If Banderas is able to solidify himself at middle linebacker, especially given new defensive coordinator Mark Banker’s emphasis on three-linebacker sets, the Blackshirts will have an opportunity to take a step forward. Banderas’ ability to make such a leap is a crucial question coming into 2015. Oh, good grief, is he talking about kickers again? Yep. After being spoiled for years, Nebraska toiled through a very average placekicking game in 2014, to the point where NU tried for a long fourth down conversion rather than risk a long field goal. Like them or hate them (or, more likely, just mock them), having an effective placekicker is a huge strategic advantage for a team—and a huge liability for a team without a reliable kicker. Nebraska does have two rostered kickers in Mauro Bondi and Brown, but given Bondi’s history it seems like Brown is the far more likely candidate to have a breakthrough season in his sophomore campaign. If Brown is able to show some of the promise he flashed when he arrived in Lincoln, Nebraska’s chances of a successful 2015 campaign go up dramatically. 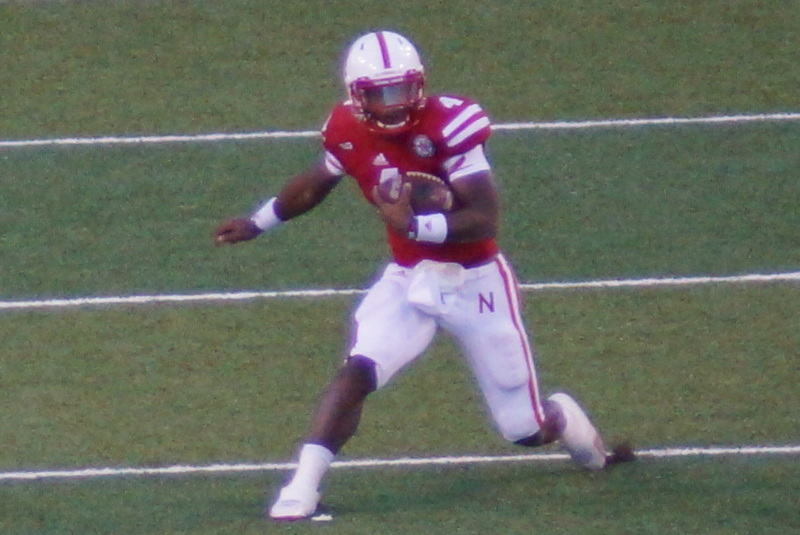 ← Nebraska Football: Who Has A Starting Role Locked Up?